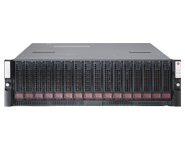 Will Jaya offers the SuperStorage Bridge Bay (Super BB ) running on Windows Storage Server. Pre-configured, Fully Redundant and Fault Tolerant. Will Jaya offers the SuperStorage Bridge Bay (Super SBB) running Windows Storage Server 2012 R2 Standard designed to enable SMB and Branch Offices to deploy reliable, continuous availability storage typically beyond the budget of these environments. with high transactional performance and capacity to meet growing business requirements. • Hot-swappable modules for all active components : including storage controllers, power supplies, and disk drives. • Ready-to-deploy : delivered with Windows Storage Server 2012 R2 Standard preinstalled and Failover Clustering preconfigured across the two compute nodes. • High-Performance, Tiered Storage Option : the SSG-2027B-CIB020H model incorporates 4x SSD drives for lightning-fast performance by using the new Storage Tiers feature in Windows Storage Server 2012 R2 Standard. Native integration with Active Directory - enabling fast and easy deployment in existing Windows Server-based IT infrastructures. 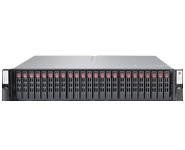 • Easily expanded : built-in expansion ports make it easy to connect up to four Super SBB 937R-E2JB JBODs, each of which supports 16x 3.5" SAS1/SAS2 drives, allowing the solution to scale to over 400TB! Enhancements to Failover clustering and yper-V - for improved reliability.